"There are not 35 Czars and that is just plain misinformation." There aren't 35 Czars? Notice that the lady that questioned Shea Porter didn't mention a specific number? Aren't there 30+? When I started my blog there were over 20 or so. So obviously it is not misinformation to assume that there are 35 Czars, or at least close to that number. Watch the following video from Pajamas Media, how many do you count? Coming away from this Pajamas expose I counted 30 Czars, as they mentioned; however there are several queued up as well. Since these folks aren't confirmed by Congress, who knows? Perhaps the Obamanation snuck in a few more on a late Friday evening. Gary Samore, the WMD Czar - Negotiated the original arms treaty with North Korea, under the Clinton administration. Was that a sterling success? You tell me. TARP Czar Herb Allison - CEO of Fannie Mae, from September 2008 until his appointment as the TARP Czar (which is overseeing funds going to Fannie Mae). Mr. Allison is on several boards and advisory councils currently, including Time Warner and the New York Federal Reserve Board. Conflict of interest? John Holdren, Science Czar - Advocated by Holdren in the past - Women could be forced to abort their pregnancies, whether they wanted to or not. The population at large could be sterilized by infertility drugs intentionally put into the nation’s drinking water or in food.People who “contribute to social deterioration” “can be required by law to exercise reproductive responsibility.” A radical and a nutjob. Has no place in a rational administration. Communications Czar on Health Reform, Linda Douglas - The genius behind the 'Fishy' email WH campaign, obvious disregard to privacy rights. Afghanistan Czar, Richard Holbrooke - From February 2001 until July 2008, Holbrooke was a member of the Board of Directors of the now almost bankrupt American International Group (AIG). During his time as a member of the board of directors of AIG the firm engaged in wildly speculative credit default insurance schemes that may cost the taxpayer hundreds of billions to prevent AIG from bringing down the entire financial system. Who better to have as the Afghan Czar than a corrupt AIG head? Perhaps he could help bring down the Afghan economy as well. Or is it that these folks want us to become more like a 3rd tier nation? You tell me. Ron Bloom, Car Czar - Was previously the special assistant to the President of the Unite d Steel Workers based out of Pittsburgh since 1996. Before that he worked as a Investment Banker. Nice to see a union thug as the Car Czar. Van Jones, Green Jobs Czar - Started his career as a staunch critic of capitalism. He later got involved with Standing Together to Organize a Revolutionary Movement (STORM), a collective which "dreamed of a multiracial socialist utopia." The most radical, at least in background of Obama's Czars. Thanks for the post - how much are these 'Czars' paid and how much power does this shadow government have? Good post! These Czars are so scary. They're all a bunch of hungover angry hippie Black Panther Marxists left overs. 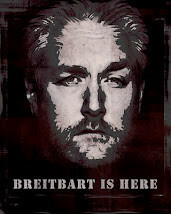 The shadow Maxist government is waiting for a catastrophe, real or imagined, to take over the USA. People BE ALERT! Don't let this happen. If a hurricane or whatever takes out your town, don't let FEMA or any government agency roll in and offer to help. They tried that in our area a few months ago. You know me, I told them to leave. One must be bold when dealing with bullies. Rebel, that Town Hall video is priceless. Nice find! 1. Is there some law being broken here? If not, what is the fuss about? 2. the congresswoman said there were not 35 "czars". You have given us a list of what you say are seven "czars" (although I really have no ideas what you mean by that term.) So far, she seems to have the better of the argument. Do you have any more to list? @ LSP - We don't even know, do we? @ Sparky - Yes, the whole Czar issue gives me goosebumps. @ Anon - Wow, the law being broked here is the entire Constitution of the United States of America. The purpose of Czars is to do a run-around the legislative branch. They are unelected and unnacountable. I listed 7 of the strangest and most defunct, the Pajamas video that you didn't view above clearly lists over 30, therefore your moron congresswoman Shea-Porter was 100% incorrect. I didn't list every single one here because the list is too long, that is precisely the point. You really see nothing inherantly wrong with the Czars? How about the Obamanation as well? 1. The problem with the list you cite is that many of the individuals identified were actually confirmed by the United States Senate. The majoirity of the remainer are in positions that were created in previous administration, particularly that of President GW Bush. For example, the new head of the Office of Faith Based Initiatives is in a position created in the last adminstration. That pretty much shoots down the entire "czar" lunacy. 2. You seem to be saying that having the President appoint advisors, assistants or envoys is a violation of "entire Constitution of the United States of America." That's not too specific. Surely in the entire history of constitutional jurisprudence you can cite at least a single federal precedent that supports your positon that the appointment of someone such as the Special Envoy for Afganistan & Pakistan or the President's Science Advisor or the coordinator for the auto bailout is unconsitutional. If you can't it would appear that you are simply b.s.'ing. In fact, it appears that way already. @ Anonymous - Really? Which of the czars was confirmed by the Senate? By the way, I am just as big of a critic of GWB and believe that he used the Czar situation as a way to subvert checks and balances as well. I did not support the GWB Faith Based Initiatives or his Czars either. 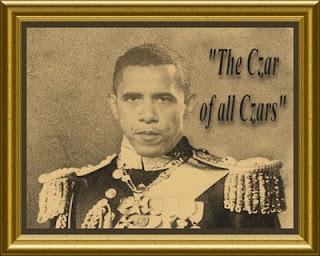 I don't support Obama's Czars. 1 + 1 = 2. I do believe that a President that appoints Czars, etc as a way to avoid the legislative branch is violating the Constitution. Surely you cannot think that what we are witnessing with 30+ Czars is unprecedented? If not, then why even have a Congress? Why not just have 5oo Czars? Things would happen a lot faster that way! Can you cite Constitutional jurisprudence that supports your notion that subjective selection of unnacountable Czars is even legal? Point me to it, please. @ Anonymous: Why not at least use a screen name? "Anonymous" is the sign of one of two beings: A coward or a troll. Personally, I think both apply. If you were to read the Constitution, you'd find that there were specific powers given to each branch of the government. Appointing czars is not one of them. And your argument comparing advisors to czars? Not even close. Advisors do just that: advise. Czars, on the other hand, have power that advisors don't. Czars will generally make policy and, if approval is lacking, the president will sign an executive order to implement it. It's a complete subversion of the Constitution. Oh...and they're NOT confirmed by Congress. Czars are appointed by one person: the president. If he wants to appoint Fidel Castro "Cuban Relations Czar," he'll do so without Congressional approval. There's NOTHING in the Constitution giving the president that power. It's totally illegal on a Constitutional basis. Now back under your bridge, you troll! 1. to: "Black & Gold": "anonymous" here" I will be happy to adopt a screen name. But plese, please explain why it is more transparent to identify yourself to the world as "black&goldfan" than as "anonomous". By the way, you seem to have a problem with dissenting voices on this blog. Why? 2. leftcoast: many of the so-called "30+ 'czars'" that have been identified in various wingnut sites were confirmed by the Senate. Either identify the people you claim to be unconstitutinal 'czars' or link to wherever it is your obtained your information, and we will count the Senate confirmations together. But I will be generous and give you a start: Herbert Allison, whom you identify above as the "TARP czar" was confirmed by the United States Senate this past June. Ready to take him off your list? By the way, he was most Finance Chairman for the campaign of the Republican Presidential candidate. As for the legal issues, there are a paucity of cases permitting the president to make executive branch appointments for the simple reason that virtually no one has been lunitic enough to assert this "czar" business. Until now, that is. Believe me, pointing to the entire text of the US Constitution as your legal authority is pretty pathetic. Finally, I simply disagree with you and your commentators that President Bush was violating the consitution when he created his office of Faith-Based Initiatives and appointed people to run that office. nyp: Herbert Allison was confirmed as an assistant secretary, which does require Senate approval, before being in charge of TARP. Dept. of the Treasury is a legitimate cabinet post. There is no "Dept. of Cybersecurity" or "Dept. of Green Jobs," but people have been appointed to do the job of a cabinet secretary without being subjected to the same oversight. Doesn't that bother you in the least??? Why is it considered "wingnut" to question the biggest power grab on the part of the government that this country has ever seen? During the Bush years, we were told by Hillary Clinton that dissent was American. What has changed the left's mind on dissent of the citizens against an overreaching government? Now, we who are vocal in our dissent are labeled as "anti-American" and "Nazis." Why the double standard now? Pointing to the entire text of the Constitution is far from pathetic. The Constitution IS the final legal authority of this country. If you don't like it, move to the people's paradise of Cuba or China. I have no problem with respectful, intelligent views that run contrary to mine. But when you come to someone else's blog and start accusing them of "b.s.ing" and making snide remarks, THEN I have a very big problem with it. 1. so we have now removed Mr. Allison from the so-called "czar" list. Identify the other "30+" people you claim to be acting unconstitutionally and we can see how many others of those have been confirmed by the senate and how many have been appointed to run of the mill positions that have long been in existence under past administrations. 2. Your responses essentially confirm that there is no statutory or constitutional objection to any of these appointments. 3. There are may legitimate conservative objections to the policies of the present administration. Calling every run of the mill presidential appointee a "czar" is not among them. It is wingnuttery. So too is the vile identification of the President of the United States as Hitler and of his policies as akin to those of Nazi Germany. Such language is outside the bounds of reasonable democratic discourse whether is is applied to President Bush or to President Obama. just silence here now. It's onto the next bogus meme, I suppose. nyp, I suggest you study the constitution. Your ignorance of it shows. The framers gave the executive branch limited powers and for good reason. As I am sure you won't know where to look in the constitution to find what power is vested in the executive branch it is Article II Section 1,2,3 & 4. Perhaps you have no problem with the executive branch further increasing it's power and control over our republic, which these Czars, whatever their number may be, is intended to do. Perhaps you have no problem with the further erosion of your liberties as the executive branch, along with a starry eyed and compliant congress eats away at our liberties. I like LCR also had many problems with GW Bush. He significantly increased the size of the federal government and plunged us further into debt. However, his transgressions, if you will, pale when compared to just the first 6 months of HRH's administration. And he kept us safe for 7 + years after 911. Be well, perhaps we will meet on the plains of cyber land to do battle again! Mr. Carpenter, 1. somewhere in the past 200 years of constitutional jurisprudence there must be a judicial decision somewhere that somehow supports your contention that the President of the United States cannot appoint a Science Advisor, a Special Envoy, an inter-agency coordinator, a Director of the Office of Faith-Based Initiatives. I mean, there must be some precedent you can cite for your belief that such appointments are unconstitutional. Can you give us one? And, by the way, please stop referring to a democratically elected president as "HRH" or as a despot, or whatever. You don't like President Obama's policies. Elections have consequences. You will have an opportunity to place your views before the electorate in 2012. But don't give us this childish "HRH" stuff, OK? Perhaps you can cite in the constiitution where Czars are permissible............ I thought not. As do most most progressives, may I refer to you as a progressive, you apparently believe the constitution is a living, breathing, feeling document. Hence it allows for an "open" interpretation of any and all issues to suit the interpretations of any and all progressives. I shall not attempt to bend you to my strict constuctionist point of view as it would obviously be fruitless. But since you brought it up, and are knowledgeable of constitutional law could you cite just 3 examples that indicates the Appointment of Czars (usually found in an oligarchy)has any constitutional sanction. Or give us 3 specific rulings on the matter. So as to please you, President Barrack Hussein Obama, in many peoples opinion, and the number is growling, has in my opinion exceeded his Constitutional Authority based on a reading of the constiitution Article and Sections as noted in prior comment. Perhaps you are among the select few who will in fact benefit by further restrictions in liberty, the declining capitalism in America, and our rapid progression toward the socialist/statist nation. If you are happy with that then you have in fact drank from the cool aid so readily offered by President Barrack Hussein Obama, and his legions. Enjoy the ride. I get off at the next stop in 2012 when sanity hopefully returns to America. When was Van Jones Confirmed and vetted by the senate; what about Cass Sunstein; John Holdren; Vivek Kundra; Carol Browner? The agument is not "he did it too!" such as with Dubya, you will find no Dubya zealots around this blog, B&Gfans, nor mine. The issue is that how many people does Obama need to run the executive branch? These people are not accountable to anyone, their pay is not public knowledge, their backgrounds presumably are not checked (otherwise Jones would never have made it), they wield influence and power and are beholden to no one in Government except the President. It is simply ridiculous, and when you study the backgrounds of several of these people I daresay that some of them you would not hire at your place of employment nor want as neighbors. If you would and do then you differ from me. I agree that not every one of the 30+ is truly a czar and it is not as if Obama invented special advisors. The media named them Czars and it stuck. We have had the Drug Czar for years for example, and no one really was offended. But some of this is nearly comical. I expect the administration to announce the toilet paper advisor, or the breakfast cereal advisor any day now. The problem is not one of the existence of such people, but of the scope to which Obama has utilized them. I am not surprised at your offhanded disregard for the constitution as that is a typically Liberal sentiment. But please do not disrespect people by calling their opinions B.S. or Bogus. Doing so does make you a troll and you should aspire to better than that. nyp, I almost forgot. As an American citizen I am free to express my opinion, and in detail, any time I so choose. I am sure you would like us all to refrain from calling yours , and BHO's agenda into question until 2012. God luck on that one. Anonymous, McFly, what more hypocrisy can you lay out for us today. You use our FREEDOM OF SPEECH which is a CONSTITUTIONAL RIGHT to debate us on an issue that is UNCONSTITUTIONAL. McFly, on top of that you are defending a president that is letting these NAZI FOOLS lead this country and pretending to take credit for it. Obama has botched everything he has touched and yet you blindly defend him McFly. You are worse that the idiots that blindly defended BUSH. I think you need to study history (not as written by the center of american progressives) and come back when you know some facts okay McFly? Someone please tell me when these Czars were confirmed by the Senate as NYP claims? Surely there are Senate Confirmation hearings posted on You Tube. I can't find them. Please show me NYP. I live in Missouri these days and I am adopting the culutre. While you are at it, can you show me where in the Constitution Obama or any president has to appoint a czar. Heck, for that matter, why don't you show me where he has the authority to appoint half the cabinet members as well, since these bureaucracies aren't with any Constitutional authority either. NYP, there is a cure for your ingnorance. Read the Constitution and the follow it up with the Federalist Papers and the Declaration of Indpendence. Then read the Constitution again. You will find yourself instantly cured with a new respect for our forefathers. Ah, lots of responses. That is good. 1. Mr. Carpenter, you have every right as a citizen to express your opinons, and in detail. However, it is lunitic and offensive to refer to a democratically elected President of either party as a monarch or a despot. Doesn't matter if it is Bush or Obama. You should restrain yourself from doing so unless you want people to think you are a nutter. 3. Thus, when President GW Bush greatly expanded the number of special advisors, my fellow elite liberal snobs did not claim that our constitutional freedoms were thereby under assault. No one challenged the appointment of Francis Townsend as as "Terrorism Czar." But the mere fact of her replacement in this administration is treated as some kind of horrible affront. No one challenged President Bush's power to establish an office of Faith-Based Initiatives or to appoint Directors of that Office. But President Obama's continuation of the same office goes on the above list of unconstitutional "czars". Perhaps you personally challenged the constitutionality of President GW Bush's expansion of these offices. If so, please point me to the link. Otherwise, you and your fellow commentators on this blog may fairly be accused of rank hyprocisy. 4. Thus the fact that some fraction of the people on these silly "czar" lists are appointed rather than confirmed positions is thus really irrelevant. If it were not, the people who circulate or refer to the "35+" czares or "40' czars of whatever would remove from their lists all the individuals who have actually been nominated or confirmed. But that would make for a much, much shorter, less scary-seeming list. So the nominated/confirmed individuals stay on, to the continued confusion of people like poor "keeper of odd knowledge," whose post above indicates that he does not realize that Professor Cass Sunstein was nominated to a position requiring Senate confirmation. 5. So, just admit that your real issue, as you essentially admit in your last posts, is that you don't like some small fraction of the President's appointees. so to inflate the importance of our complaint you label the Third Special Assistant in Charge of Coordinating Windmill Generation as a "czar." Very childish. 6. I'll repeat what I have said above: even granting all of your complaints, the overwhelming majority of the individuals mentioned on these lists are outstanding Americans with records of great accomplishment. Whatever our political leanings, we should be pleased to have them in the service of our country. 1. "tell me when these Czars were confirmed by the Senate as NYP claims" -- OK, fair question. Idenfity the individuals whose appointment you object to and we will go over their status. One by one. 2. However, you begin with a disadvantage in my book, since you believe that half of the cabinet is unconstitutional. When people far more studied and intellectually gifted than I affirm the majority of my position with my disagreement with McFly/Anonymous, I feel much more confident that I am on the right side and my intense studies of history (not just textbooks) and politics have been most worthwhile. NYP, I have read all you posts today and I cannot tell which side you are debating Bungalow Bill and Left Coast Rebel from. I will tell you exactly where I am coming from for starters so that there is no lack of clarity. I am the other half of KOOK's Manifesto. I am a proud independent and am no lover of Republicans as they are just Democrats pretending not to be for the most part. Your statement about "records of great accomplishment" was fascinating to me. I guess you must mean criminal records as more than half of the Presidents Czars and Cabinet could not go in the White house as a visitor because they are either indicted of convicted felons. You are right in every complaint you have leveled about "dubya", but does that make it right for Obama to increase his wrongs tenfold??? And about the President's assault on the Constitution, you seem unclear as to which parts of the Constitution you would keep or throw out but it appears as though you want it run through a shredder and redone where the powers of the people are contained rather than the power of government. Given that there are so many places in the world that use the system of Government you favor, why not go spend some serious time in say Venezuela or Iran since theirs' is the best and only way. See, we want to keep our Constitutional rights. Communism at the national level is not the only option, as it can be done at the state level. California is a wonderful example of the end result of Obama's agenda and their economy is a model economy for the entire nation to go by, right LCR? In all fairness, the issue with these CZARS is that they are running the country, not pResident Obama who has never run anything in his life. I have examined the Community Obama organized and he did an excellent job. The Crack dealers were organized in one area, the junkies were organized in a different area and the prostitutes were organized to the alleyways in between. It is a great example of what this country should look like. Above and beyond that, what has Obama done or run such as a business where her was the leading executive? It all goes back to the Warren debate in California where Obama was asked about Abortion, which in response he said:"The answer to that one is above my pay grade." Now I will quote another not as famous or popular Democrat who had the perfect response to that one. He said that when your President, THE BUCK STOPS HERE. 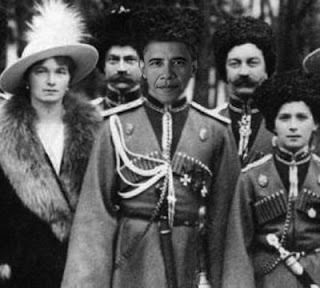 Obama hasn't even figured out that one yet so he got all these CZARS to run the country. I have studied the Christian Bible well and despite what the media said about him during the campaign he is a far cry from the "Messiah" the American people were told that he was. The funny thing is, I think Mccain would have been worse. The sad thing is somewhere around have the American population believed that mumbo jumbo about Obama's messiahship and voted for him. They voted for "Change" not knowing what "change" they would get. Now the American people know and don't like it one bit. The gpod thing about Obama's election is the exposure of ACORN, TIDES,The FED, APOLLO and the thousands of other Communist/Noe-Nazi organizations that are now being exposed where they used to be in the shadows and the sleeping giant has awakened. You better have alot of friends in DC on 9/12. I know I will and we will then announce to the government and the nation just how big a sleeping giant has awakened. Have a nice evening. I would love to say that the constitutionality of the word "czar" and the appointments are wrong, I simply can not. Now before I go any further let me explain, In the United States the title "czar" is an informal term for certain high-level officials who direct or oversee federal operations on a given topic or who coordinate policies between different departments on a given topic. "He (the President) shall have power, by and with the advice and consent of the Senate, to make treaties, provided two thirds of the Senators present concur; and he shall nominate, and by and with the advice and consent of the Senate, shall appoint ambassadors, other public ministers and consuls, judges of the Supreme Court, and all other officers of the United States, whose appointments are not herein otherwise provided for, and which shall be established by law." Article II, Section 2, Clause 2 of the United States Constitution, known as the Appointments Clause, empowers the President of the United States to appoint certain public officials with the "advice and consent" of the U.S. Senate. This clause also allows lower-level officials to be appointed without the advice and consent process. The President shall nominate, and by and with the Advice and Consent of the Senate, shall appoint Ambassadors, other public Ministers and Consuls, Judges of the supreme Court, and all other Officers of the United States, whose Appointments are not herein otherwise provided for, and which shall be established by Law: but the Congress may by Law vest the Appointment of such inferior Officers, as they think proper, in the President alone, in the Courts of Law, or in the Heads of Departments. My arguement isn't with any of the Reb's readers or commenters, it is with the ever expanding gubbermint, as usual. So are czars legal? MY thought is that the original intent -- no. Legal with the bastardized (by all in the bureaucratic cesspool members) version? yes. 1. Andrew33: you state " half of the Presidents Czars and Cabinet could not go in the White house as a visitor because they are either indicted of convicted felons" Please name them. If you can't identify half of the President's cabinet and so-called "czars" who fit your description, you should withdraw it. In fact, you cannot name any. 2. You further say: that the electorate "voted for 'Change' not knowing what 'change' they would get ...." The President made health insurance reform the centerpiece of his two-year campaign. He called for health reform of a variety essentially the same as that of the current legislation is virtually every single campaign speech. He described it in his convention acceptance speech and in his debates with Senator McCain. He received a majority of the popular vote because tens of millions of American families are uninsured and underinsured and face financial disaster if they suffer a major illness, and because the health care cost curve has ruined our major industries and threatens to bankrupt the federal government if not changed. So your allegation that people did not know what they were voting for is baseless. Elections have consequences. Landshark: I am afraid you are wrong about the Patrick Henry quote. He made that speech a year before the declaration of independence and 14 years before the Constitution. In any case, you seem to not like the Constitution itself because of what you call its "openness to a growing government and its oppression with that power." I really cannot argue with that. nyp, The usual twist when you fail to win the "progressive" argumet. nyp -- you are correct, Henry said that, when and where you say ( The Virginia Convention), fact I concede. In my haste to get the horses fed, groomed, dinner and type, I rushed my thoughts. It was during the Virginia Ratification debates that I was thinking of his opposition to many (gaps), if I may, of Congressional powers in the Constitution on the views and arguments on organization of the executive power as to treaties. The "CZAR" was spinning in me head, please excuse me. Now as far as my " but our draft of the Constitution's openness to a growing government and its oppression with that power" statement was meant as paraphrasing Henry's opposition to the power at large. I agree with him on many of those items, that doesn't mean that I dislike the Constitution. I believe our founding documents are the most beautiful and true words ever put together on paper. I simply prefer it as it was intended, as the debates mentioned above drew conclusion to. Those words that are in it, where chosen carefully and there true meanings and ideas are in that debate. What came from there, left (gaps). This is just some of his opposition. Due to spacing this will be a two parter. This is from those Ratification debates. Mr. Henry:" Mr. Chairman, gentlemen say that the king of Great Britain has the same right of making treaties that our President has here. I will have no objection to this, if you make your president a king. But I will adduce a difference between an American treaty and an English treaty. Recollect the case of the Russian ambassador: he was arrested contrary to the rights of his master. The Russian emperor demanded the man, at whose instance his ambassador was arrested, to be given up to him, to be put to instant death. What did the queen say? She wrote him that was something paramount to what she could do; that it exceeded her power to comply with his demand, because it was contrary to the constitution and laws. But how is it here? Treaties are binding, notwithstanding our laws and constitutions. Let us illustrate this fatal instance. Suppose the case of the Russian ambassador to happen here. The President can settle it by a treaty, and have the man arrested, and punished according to the Russian manner. The constitutions of these states may be most flagrantly violated without remedy. And still will gentlemen compare the two cases? So great was the anxiety of Queen Anne, that she wrote a letter to the Russian prince with her own hand, apologizing for her inability to comply with his demands. The Parliament was consulted, and a law made to prevent such arrests for the future. I say again that, if you consent to this power, you depend on the justice and equity of those in power. We may be told that we shall find ample refuge in the law of nations. When you yourselves have your necks so low that the President may dispose of your rights as he pleases, the law of nations cannot be applied to relieve you. Sure I am, if treaties are made infringing our liberties, it will be too late to say that our constitutional rights are violated. We are in contact with two powers — Great Britain and Spain. They may claim our most valuable territories, and treaties may be made to yield them. It is easy on our part to define our unalienable rights, and expressly secure them, so as to prevent future claims and disputes. Suppose you be arraigned as offenders and violators of a treaty made by this government. Will you have that fair trial which offenders are entitled to in your own government? Will you plead a right to the trial by jury? You will have no right to appeal to your own Constitution. You must appeal to your Continental Constitution. A treaty may be made giving away your rights, and inflicting unusual punishments on its violators. It is contended that, if the king of Great Britain makes a treaty within the line of his prerogative, it is the law of the land. I agree that this is proper, and, if I could see the same cheeks in that paper which I see in the British government, I would consent to it. Can the English monarch make a treaty which shall subvert the common law of England, and the constitution? Dare he make a treaty that shall violate Magna Charta, or the bill of rights? Dare he do any thing derogatory to the honor, or subversive of the great privileges, of his people? No, sir. If he did, it would be nugatory, and the attempt would endanger his existence." "The king of France calls his Parliament to give him power to make what regulations, with regard to treaties, they may think conducive to the interest of the nation. In the time of Henry IV., a treaty with Sigismund, king of Poland, was ratified by the Parliament. You have not even as much security as that. You prostrate your rights to the President and Senate. This power is therefore dangerous and destructive." As far as Czar of Czars, I would give that title to Rahm Emmanuel, henceforth known as "Welsey Mouch" and his 30+ czars as the "Unification Board". It could be or may become worse...I have a friend that escaped Vietnam 30 years ago. After the fall he was found to be unsympathetic and sent to a re-education camp. I mean he only was a HS math teacher, what kind of threat could he be? Anyway, they communist party puts observers in every classroom. He said the next step for him wasn't re-education but fertilizer, so he left. In a hurry. Anyway, my point is that is where this non-sense leads. Eventually. Czars are not constitutional no matter which president has them. Plain and simple. These people have staffs and budgets. Where are those budgets coming from? How much are they being paid? Government salaries are supposed to be done by scale and should be transparent. That is not happening. In many of your comments, you are turning this into a childish rant of "Well Bush did it". I don't care that Bush did it. I didn't like it then, and I don't like it now. This is from the man who spoke for more than year about transparency? Where is that transparency? There is no way on God's green earth that someone like Van Jones could get congressional approval. If you are not at very least skeptical about Van Jones than you truly have drunk the democratic kool aid. That man is scary. HE describes himself as a communist. He thinks that Mao is a great guy and named his son (who is only four) after a far left guerrila. That is who you think should be advising the President of the United States? Let's move onto the science czar, who has talked about taking children away from people by force, putting sterilization drugs into the water supply. Getting rid of "undesirables". Who exactly decides who is undesirable? What is the definition of undesirable? Does that definintion change due to circumstances? If so, what are those circumstances? These people have radical views that do not represent the mainstream American. You lean to left. That is fine. I have no problem with your belief systems as long as you have come about them honestly. The point that most readers of this blog is the fact that we are unhappy with the power grab of the executive office. This has been going on for decades now. It has to come to an end. If a republican did these things, we would be just as pissed. We are not buying into the party line here. This is not left or right. This is right and wrong. Czars are wrong. Obama is my president. I didn't vote for him, I feel that it is going to be a disaterous 4 years. But I would be complaining just as loudly if a republican did it. Can you honestly say that you stand up for the constitution and not for party? Because if you can't, you won't understand what the people on this blog care about. 1. Transparancy: The argument that the President's appointments to be Science Advisor or Special Envoy to Afganistan are not transparent is, I am sorry to say, silly. Each appointment has been publicly announced by the White House or by the relevant Department, and the details have been published in the Federal Register. Salaries and other budget items are fully accounted for within the published budgets of the Executive Office of the President or the of the relevant cabinet departments. Lines of reporting are also clear. They are either to the President through the lines of authority of EOP or through the relevant cabinet secretary. 2. Constitutionality: No one has made a serious argument as to why the President cannot appoint a deputy press secretary, an inter-agency coordinator, a Secretary of the Cabinet, or a Director of Faith-Based Initiatives. Someone, somewhere must have some court ruling they can cite. If not, I would advise dropping this point. 3. "Bush did it": As a liberal, I blame President Bush for many things, but not for making personnel appointments. He had every right to do appoDirector of Faith-Based Initiatives. So does President Obama. Some of you claim that you opposed President Bush's use of "czars." If so, please provide the link to any posts in which you made such objections. If not, it is reasonable to accuse you of hyprocisy. As for the specific individuals complained of, I reluctantly concede that I understand your point, at least as far as Van Jones & John Holderin were concerned. When Van Jones was a kid in the early 1990s he was pretty out there, although in the intervening years he seems to have turned into a run of the mill capitalist. But who really cares, since he is just a flunky. Isn't his job the coordination of flywheels, or something? John Holdren (sp.?) co-wrote some stupid things in a textbook about three decades ago. He has repudiated them. You are, I suppose, free to believe that he is lying and that, after all these decades, he still holds those positions. But that does not make much sense to me. And you should be very wary about playing such a game, since it may come back to haunt you. For example, should all conservative politicians be judged by what they may have said about working women, diversity, civil rights, homosexuality, etc. several decades ago? The current GOP candidate for Governor of Virginia has disavowed the outre positions he took in a graduate thesis in 1989. Should we not believe him? 5. Overall, the people identified on these loopy "czar" lists are highly qualified, distinguished American whom we should have proud to have working for us. Paul Volker. Lawrence Summers. Richard Holbrooke. Ashton Carter. Herbert Allison. George Mitchell. Dennis Ross. General Lute. Professor Warren. Instead of being paranoid, you should be proud. I'll try not to be dull this time. Proud? No, I am not proud of a president who is a progressive socialist and whose intentions are to make America the next Denmark. Like the BC issue, there are more important reasons and issues on which to confront Chairman Obama, and ones that we will be more successful. While I lack poetic beauty in my writing, at least I am direct, and correct. to "Right Guy" - I did not accuse you of being dull. To the contrary, I recommended dull, prosaic policy discussions in place of overheated declamations about the Founding Fathers. The President is not a "progressive socialist." He is a moderate liberal who has unwillingly had to take strong, temporary measures in the midst of the worst economic crisis since the 1930s. In doing so, his principal economic advisors have been people like Larry Summers, Peter Orzag, Paul Volker, Christine Romer, the President of the New York Fed, etc. You may consider these guys to be bolshevicks. That is where we disagree. By the way, I don't think we are going to be like Denmark, but if we did go that direction, would that be such a horrible thing? Denmark has a higher standard of living than we have, and beats us on most social and quality of life indicators. It doesn't seem like the Great Danes are groaning throught a dark night of totalitarianism. "Government efforts to funnel hundreds of billions of dollars into the U.S. economy appear to be helping the U.S. climb out of the worst recession in decades." "Many forecasters say stimulus spending is adding two to three percentage points to economic growth in the second and third quarters, when measured at an annual rate. The impact in the second quarter, calculated by analyzing how the extra funds flowing into the economy boost consumption, investment and spending, helped slow the rate of decline and will lay the groundwork for positive growth in the third quarter -- something that seemed almost implausible just a few months ago. Some economists say the 1% contraction in the second quarter would have been far worse, possibly as much as 3.2%, if not for the stimulus." that's what happens when you have a President and Administration that concentrates on the dull policy stuff. Now the term "czar" is not found in the constitution, so as said before, is it legal? I do believe this is the original question. I've expressed my thoughts and Henry quotes, so as far as to dull prosaic policy arguments, lets see what the top-ranking Democrat in the Senate wrote President Obama. "As presidential assistants and advisers, these White House staffers are not accountable for their actions to the Congress, to cabinet officials, and to virtually anyone but the president. They rarely testify before congressional committees, and often shield the information and decision-making process behind the assertion of executive privilege. In too many instances, White House staff have been allowed to inhibit openness and transparency, and reduce accountability." The West Virginia Democrat asked Obama to "consider the following: that assertions of executive privilege will be made only by the president, or with the president's specific approval; that senior White House personnel will be limited from exercising authority over any person, any program, and any funding within the statutory responsibility of a Senate-confirmed department or agency head; that the president will be responsible for resolving any disagreement between a Senate-confirmed agency or department head and White House staff; and that the lines of authority and responsibility in the administration will be transparent and open to the American public." This letter says that these czars are unconstitutional. President Obama’s “czar strategy” is an unprecedented power grab centralizing authority in the White House, outside congressional oversight and in violation of the Constitution. Czar Kenneth Feinberg has the authority to set the pay scale for executives at any company receiving government money. Czar Feinberg has the power to say that someone’s pay is excessive, and to make companies cut that pay until the czar is pleased. Congress did not give Czar Feinberg this authority. For that matter, Congress has not authority. Each of these czars has enormous government power, and answers only to the president. Senator Byrd wrote that letter to President Obama in February, criticizing the president’s strategy of creating czars to manage important areas of national policy. Senator Byrd said that these appointments violate both the constitutional system of checks and balances and the constitutional separation of powers, and is a clear attempt to evade congressional oversight. And Senator Byrd is exactly correct. The Constitution commands that government officers with significant authority (called “principal officers”) are nominated by the president but then are subject to a confirmation vote by the U.S. Senate. And principal officers include not only cabinet-level department heads, but go five levels deep in executive appointments, to include assistant secretaries and deputy undersecretaries. As far as the funneling of billions into the economy, just imagine where we may be, if not for the funneling out billions in tax revenue. 1. be careful about relying on the unique constitutional views of Senator Byrd. Recall that he also believes that the invasion of Iraq and most of what Pesident Bush did to national security was unconstitutional. 2. The word "czar" is obviously not in the Constitution. Nor is it in any the Presidential Orders appointing his various aides, envoys, advisors, etc. it is a silly, made-up word that means nothing. 3. As to where we would be without the Stimulus, the answer is that we would be in a continuation of last winter's economic free-fall, that our auto industry would be liquidation and that many our financial institutions would have shut their doors and credit facilities. Thank goodness that Larry Summers, Paul Volker and other helped the President steer us away from that precipice. nyp, check out the videos posted on my blog today, perhaps you will learn a bit about the Constitution. It seems as though you have drank so much of the Party line cool aid you have lost your sense of reason. Sorry, Mr. Carpenter, I don't have time for videos. If you want to post a transcript, I will at least read it. By the way, is it your belief that the only "rational" people in America are those who agree with your point of view? I am trying to understand the meaning of your organization's name. nyp -- I am not relying on Sen. Byrd, nor am I side stepping to other issues. What has been brought forth in this cyber-debate is that the word czar or any other words used to describe appointments, does not give those appointees the constitutional authority and power to go mostly unreined. The issue of the economy, since I walked thru that door, reflects years of unyielding spending done by both parties. Not to mention our average consumers living beyond our means. The book 'The Creature from Jekyll Island" can help explain the feds roll in to the current economical conditions. The stimulus and bail outs can be better explained there than we have time for here. Now to quote the late great Peter Sellers, as Charlie Chan, " this is like a train with no wheels, very soon get nowhere." Have a good day, Sir. LandShark: I think you are making the right decision in retreating from all this "czar" malarky. In fact, my concern troll advice is that you just admit you don't like the President's economic policies, and stop trying to paint a democratically elected leader as a despot. It badly dilutes the rest of the conservative critique, as David Frum has noted. In fact, you should concentrate your attention onf Frum's website, which, much as I disagree with most of his views, is one of the remaining refuges of constructive conservative comment in a vast sea of wingnuttery. NYP, Just off the top of my head without going to Google I have these:(Of course Obama is erasing all records of his advisors so even if I looked I would not find. The fact that Obama picked a financial advisor, and another and another that didn't pay their taxes, a green jobs advisor who did prison time and admitted that he came out of prison a communist and a health czar that says Abortions are constitutional up to 2 years old is enough for the whole lot of them to be tossed. I will not pull anything. Why can't you disprove my statements with facts. See I have no need to ask you to take down your statements because I do not fear them. You want my statements taken down because you have no way to dispute them and don't like them being there. I leave it up to you to prove me wrong, not the other way. Pay attention folks as that's how libs play the game. They put a total burden of proof on you, but have none for themselves. Don't fall for it. That has been happening for too long. If pResident bama's czars were on the "up and up" why are there 48 comments on this post? If they were on the up and up this would be a non issue. And by the way Van Jones did 10 years hard time so it wasn't for simple marijuana possession. Now why don't you prove me wrong or take down your reply before I cry myself to sleep...boohoo!!! Thanks for using my point in your list of what others have said good about your blog. I think that means my opinion is valued here...or something. Seriously I am honored to be mentioned among the other bloggers on that list who have ben doing this far longer and are bar better than I.
to "Andrew33" - I did not know that the Secretary of the Treasury was now a "czar.' Interesting theory you have there. Mr. Kundra is not a thief, had not been accused of being a thief, has not been convicted of being a thief. You are simply making things up in an effort to slander someone. By the way, please also document your allegaton that President Obama is " erasing all records of his advisors." I would really like to see that evidence! Finally, you say "If pResident bama's czars were on the "up and up" why are there 48 comments on this post? If they were on the up and up this would be a non issue." It is indeed a non-issue. But most of what remains of the conservative movement has completely lost its marbles and has descended into spittle-flecked ravings, as your post demonstrates. nyp -- it strikes me as odd, you have been offered one side of the issue, yet you offer no proof to your side of the debate other than show me and provide proof for our side of this post. Andrew33 said it well to your Alinski tactics. Now my views on the current admin. are, yes I believe that it is traveling quicker by the week toward socialism. Having served this country and watching first hand the atrocities of a socialistic regime from inside Kiev, is where I began to understand my enemy(socialism). As a child learning from my father, grandfather and as a young man from the Army, was to find a peaceful resolution to everything. So retreat or stand down is not in my vernacular. I offered this to you, yet, you still make attacks. So with that being said, again -- good day to you, Sir. Landshark - I think the way things ususally work is that if one side makes a serious factual accusation (such as your colleague Andrew's claim that someone in the White House has done "10 years hard time" in prison,) the other side is entitled to challenge the claim and demand substantiation. I am afraid it is really not up to me to prove that no one in the White House has done "10 years hard time." On the other hand, if I have made any factual assertions that you believe not to be true, you are welcome to challenge them. If not, I assume your agreement. The comprasion of Van Jones and Bob McDonnell is very strange indeed. The voters of Virginia (which I am one) will get to make the choice if he serves as our governor. We also have his voting records from his time as a delegate and his work as attorney general to look at to see his actions. No one in this country voted for Van Jones. I would venture to say, that had many of Obama voters seen this guy's resume beforehand, people would have voted for McCain or just stayed home. If you think that Obama is a moderate than you will never understand what people on this blog are upset about. If you want to live in a place like Denmark - get on a plane. I am sure that a few people on this blog will be more than willing to chip in for your ticket. I am first generation American, my parents immigrated from Scandanvia. If I wanted to live in a more socialist type society I could easily get citizenship. I don't live there because I don't want to. 1. I am glad that you too have stopped trying to defend that absurd "czar" meme. A wise decision. 2. It is odd that you believe that statements someone made 35 years ago should be deemed a definitive sign of what he thinks today, but that statements that someone made 20 years ago can be casually disregarded. Could it be that the only difference is that the person in the first example is a Democrat and the person in the second example is a Republican? 3. A majority of our fellow voters deemed President Obama to be a moderate. You disagree with the results of a democratic election. That is your right. But please don't demonize the other side. Elections have consequences. 4. I don't want to live in Denmark. Too much herring. But if our standard of living here was as high as it is in Denmark that would be a good thing. I am curious as to why you disagree. Your opinion's are yours and certainly you are entitled to them. Sorry you don't do videos done by a Judge and constitutional authority. No surprise. As to my "organization", I doubt you would understand. But give it a try. Read material I have written. I have met many who differ with my views. That is good, and I encourage it, freely. I, nor like minded citizens are the ones that need to be feared. But you wouldn't understand that. I am sure your "self assumed" superior intellect is in high demand in the halls of progressive/socialist thinking. Been there, saw the evils, and left - quickly. Give my regards to OUR democratically elected, highly esteemed, and accomplished when you see him. It is now time to turn my attention to important matters. Planning how I may best work to get him bemocratically unelected from leading this Republic into further ruin. Just one man's opinion. By all means keep yours. Mr. Carpenter: I'm pleased that you too have abandoned the "czar" meme. Good to see that minds can sometimes meet. I will look up your organization on the web. Yes, he's a progressive socialist, in my opinion. If you like statist better, collectivist, or all three, fine. As far as the wall street journal goes, she said it appears. That's a lot different than it is. In the depression, there were many ups and downs and money thrown down the hidey hole, while other countries pulled out of the economic decline, we still had over 20% unemployment as late as 1938. I can tell from working for a quasi-government agency that governments have faired better than private institutions with regards to the ARRA. It was like Christmas last May when Iowa got it's reward money for supporting Obama. That not to say a lot of jobs were created, there weren't. It's just that not so many were lost. I can also tell you have a bunch of friends in NY (where I am from) that are unemployed, and have been for months. All the stimulus money did absolutely squat for them (How did Larry Summers like the way he left Harvard?). As far as Denmark goes, socialism works ok on a small scale. As the population and the size of the geography increases, the efficacy goes down. I would also add that Denmark, at least up until the last few years, has been an ethnically homogenous country. No so much here. I think they have a real challenge on their hands with the influx of muslims and it could be to their systems detriment. The real problem with Denmark and socialism in general is that it puts need above ability and enslaves people to work for others, to sacrifice for the sake of others. They do this with the expectation that they would rather trade individual freedom and responsibility for security. I think it is a bad trade off as it lowers man to the level of a well kept after farm animal. As long as the animal produces, everything is fine. I think humans are capable of much more than being farm animals. How do you think a Dane (or an American) would fair if they balked at paying taxes? That my friend is at the barrel of a gun, by force, no matter how peaceful it seems. In fact, didn't Marx say that peace is the absence of opposition? That is not the absence of violence. The very nature of socialism is control. The difference between socialism and what I would want is where does the locus of control belong. As far as I am concerned, not with any governing body. We would have been better off letting the banks and car makers fail, allowing for creative destruction. Other companies that did the right thing would have stepped in and taken the place and market share of those that screwed up. Call it evolution or natural selection of business. If it worked for us for millions of years, why can't it work in economics now? If anything, the more we try to control, the more we screw things up. To the rest here, arguing about czars with NYP is like wrestling with a pig: you getting dirty and the pig likes it. It does serve a purpose for analysis of our own views, or it should, but it leads no where in the fight against Obama and NYP knows that. Remember, it's not about birth certificates, or czars. Freedom first, freedom last. Stick to where our natural rights are being violated (or about to be) and push back. Like Obamacare, like cap and tax, like the the BS stimulus that only helps those who helped him, and what ever else comes down the pike. Voters didn't deem Obama a moderate, the repudiated Bush. Think of it as cutting off your nose to spite your face. Bush was a disappointment after 8 years and it only took Obama 8 months. Saying Obama is a moderate is like saying Ted Kennedy was a light social drinker. I'm sorry NYP but you have proved nothing, and you will see how much of a failure the so called "conservative movemnent is in about 9 days or so. Obama's congress approved and non congress approved are more rife with corruption than Bush's was and that is saying a bunch for me. Saying Obama is a "Moderate" is like calling Hitler a tad power hungry with a slight anti-jewish sentiment. I compare Obama to Hitler because they are more similar than different. Both had/have a fetish for taking over big corporations and both have a strong anti-Jewish stance. @ Rightguy - Wow, talk about a brilliant analysis. To anyone who says Socialism works because of Europe. Don't even go there. We are facing spiraling debt because WE the evil USA pay for Europe's defense so that they can afford socialized health care that is still bad. We give away food to the entire world so that they can afford to socialize this and nationalize that and we get debt yet the countries we give food to don't forgive one dime of our debt for all the food we give away but we are the EVIL EMPIRE, right NYP? To a point, the complacency bred by paying for Europe's defense has had evil results and if it were up to me Iraq would be paying for the Iraq war, every shipment of food we donate would come with debt forgiveness and we would not foot the bill for the defense of other nations without a return on that expense. We are the first and maybe the dumbest nation in history to donate an empire to those that would be subjugated. Has anyone noticed that the Europeans don't want us to go down the socialist road? Even the Russians don't want that because we will not be able to afford to import Chinese goods of buy foreign fuel if we spend our entire GDP destroying our private sector and our health care system at the same time which Cap and Trade and ObamaHealthCareDestruction would do exactly that. Obasma claimed he would "repair" our reputation around the world. So far, the Germans, Polish, Scottish, Israelis, Chinese, Russians, and French all think we are a joke. Now to show how bad America really is, the next G20 will be held in Pittsburgh. What a shining example of rust and unemployment to show our enemies how sorry we really are. Obama has apologized to all our enemies and abandoned all of our friends and destroyed our monetary system in 9 months. By printing all this money and not giving to the people to use, it has made the money we have worth far less. That is exactly what Obama meant when he said "if you make less than $250,000 a year YOU WON'T SEE your taxes go up. He never said they would not go up. It's all in the semantics with him. And his czars are UNCONSTITUTIONAL and America knows it, which is why Obama is dropping daily in the polls. Even the liberal media knows he turned out to be a clueless moron and is abandoning ship. And to NYP, let's have a complete list of Obama's Czars and their wonderful accomplishments please. I will be happy to read it with an open mind. See NYP questions but never answers so I am challenging NYP. Show me good things that are happening with the Obama administration, world events, congress... anything. Let's see your side rather than just hearing our side is wrong. See landshark has a point and I have read enough of the Allinsky rules to know how to bait and set a trap and I can even be honest about it. Here's the trap. Show me what good Obama's czars are doing and where it is Constitutional for them to be there. I will even be honest about a previous post, that nothing makes a leftist mad quicker than comparing their messiah to Hitler. That was baiting NYP. It's called Reductio ad Hitlerum. I don't think Obama is quite that talented and he has an aversion to confrontation. 1. Aandrew: it is disgusting for you to dare to compare the President of the United States -- any President of the United States -- to Hitler and to accuse him of anti-semitism. Your attitude is contemptable and removes your remarks from further discussion. 2. "Rightguy": you believe that Presidents Obama and Bush should have countenanced the liquidation of the American automobile industry, the destruction of American capital markets, and the consequent rapid descent into a Second Great Depression. There is certainly a liquidationist strain in American thought, exemplified in the advice given by Andrew Mellon to President Hoover, that your attitudes exemplify. I am pleased that Hank Paulson, Ben Bernanke, Pesident Bush Tim Geithner, Paul Volker, Larry Summers and President Obama disagreed with your belief that it would be salutory for tens of millions of Americans to be throw out of work and for our economy to go back a generation. 3. I am happy to engage with you on issues, but I am disapointed that, having been pummeled so badly on the subject of "czars," you retreat to dumb cliches about "wrestling with pigs." That's a bad way to end it. As far as the President's moderation is concerned, I look at a guy whose principal advisors are Volker, Gates, Summers, Orzag, Jones, Romer, Geithener, Panetta. You think that is the advisory circle of a dangerous radical. That strikes me as completely nuts. As I said it would get you upset. If Obama is so pro Israel, why do only 4% of Israelis believe he is pro-Israel? Obama has nationalized the Banks, Automakers, and now he is going after health care. Hitler did the exact same when he took office. As I said, I was using the Allinsky tactic of baiting you and it worked to perfection. Now Obama is not Hitler as he is too spineless to do what Hitler did, but those who control Obama's teleprompter may not be. You did not mention any of Obama's controversial advisers or more properly CZARS in your list. I don't see us having been pummelled on the Czars as it was you who wanted us to stop saying that and now you are saying Czars yourself, and you have yet to prove anything about my challenge to name something good that the Obama regime has done so you simply put me out of the conversation. I'm sorry, is my bluntness and lack of political correctness too much for you to handle? I pointed out when I compared Obama to the Socialist Hitler that I was demonstrating an Allinsky tactic of baiting you, but you have not answered ONE of my questions so since that is the case, I believe it is you who have been pummeled here, not rightguy.I asked you an honest question. NAME ONE GOOD THING OBAMA HAS DONE and that get's me ejected from the conversation after all this is NYP's blog, right? Folks rule of thumb:YOU HAVE BEATEN A COMMUNIST IN A DEBATE WHEN THEY THROW YOU OUT OF THE DEBATE BY THE POWERS OF LENNIN. Given the voting irregularities and voter fraud attempted by friends of Obama such as ACORN and the fact than Obama was born in Kenya, I do not see him as the sitting president of the United States. Besides, where was all the respect for the so called office when Bush was President , and he staged 911 and blew up levees? Not than I was a Bush supporter but did you speak out against your fellow communists there? Now If I compared Obama to Stalin, would that be ok, after all, Stalin had more people Killed than the concentration camps and the WW2 dead combined. @ nyp - is it too late to join in? Summers...isn't he the former, disgraced Havard President who was forced to resign because he said the equivalent of "girls can't do math?" Sorry for the low jab, I couldn't help myself. I love all the platitudes and the circular reasoning. You can nitpick at the details of people's arguments. It's all a lot of fun, but strip it all away and you are still left with something plain and simple. Increasing the positions in the executive branch leads to an expansion of power of the executive branch and subsequently a loss of power in the legislative branch. It's nothing new really. The balance of power between the branches is always shifting. One branch keeps going until people realize it has gotten out of control. The question is, "is this a problem?" I believe that LCR is making a valid argument for the fact that it is a problem, due to the fact that many of these appointees have questionable backgrounds (it doesn't matter if it is 1, 2, or 3 of the appointees). BTW, this is the best that NYT could do on Bush appointees http://www.time.com/time/press_releases/article/0,8599,1109304,00.html. Not quite as juicy as people who were pro forced sterilization. Concerns for oversight of Obama appointees is not something out of the blue. It's something that has been continuous since he became President. He appointed 8 tax cheats. The former "car czar" Ratner was pushed out because of criminal investigations. Richardson's appointment rescinded because of corruption. You have Cass Sunstein, Van Jones, Holdren and all with questionable past ideologies. You wonder where the calls for oversight are coming from? These guys are unimportant people? Should I worry? Your arguments to date is that they are either unimportant, in which I ask, why have them, or they are important, but won't be important to Obama, in which I ask, why would I want someone with executive power that the President doesn't have time to supervise? The forever Bush straw man is growing old. If I had a time machine, I'd say this all over again for Bush's sake. The flipside is to reward incompetence which leads to mediocrity. That's where we are now. We still have banks failing, it's just in slow motion. Better to rip the bandaid off. Those that failed did so at their own hand. It would not destroy the American economy because not all banks were corrupt and/or made bad decisions. The ones that didn't should be rewarded for their good practices and good management. Instead they are having their arms twisted to accept government money, and believe me there are strings attached. As far as the auto industry goes, again, should we reward failure and mediocrity? This death has been coming for a long time and is deserved because of bad management. I do praise Ford for not taking government money. They know what is at stake. The other problem with government intervention is that who gets to decide who wins and who loses? It then becomes a matter of politics and pull as opposed to the hard cold facts of numbers and the responsibility of failure. This situation has played out as a less dramatic version of Atlas Shrugged except there is no Galt's Gulch. As far as my analogy of the pig, perhaps it was a little harsh, but I will say that not much of a productive nature has occurred with this discussion. The focus has shifted to how many angels can dance on the head of a pin rather than why is that pin stuck in my eye. ¡Basta ya! PS, Andrew Mellon was right. FDR dragged on the depression longer than it needed to be. I'd like to think it was due to his incompetence, but I think he did it to keep the country in an equilibrium of crisis such that it was always bad enough that it needed his help, but always showed promise that it was getting better because of him. 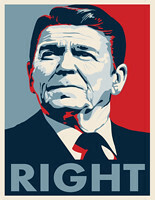 All it served was to give him 4 terms and begin the process of establishing big government at the very least and the path to socialism at the most. Think of FDR as a president that used Munchausen by proxy. Without crisis he was not needed, so he had to make sure there was always one. conservative generation: You are essentially correct about Larry Summers. I would say that his presidency of Harvard was sacrificed on the alter of political correctness, but that's just me. The relevant point, however, is that he is one of the most talented economic minds of our generation, and not exactly a raving radical. Nor is Volker, nor Orzag, nor Romer, nor Geither, nor Gate, et al. It is also amusing to see this hypertrophied concern for our individual liberties and for the separation of powers. Welcome to the show! President Obama's predecessor took the public position that the President, acting alone, had the power to seize American citizens on the street on charges of aiding terrorism or otherwise endangering security, throw them in a Navy brig, and deny them habeus corpus rights, and never bring them to trial. That is precisely the position it took in the Padilla case. It further took the position that the President had the inherent authority to place wiretaps on the communications of American citizens without a warrant. Whatever one thinks of those positions, I am sure you can understand why I see the current hysteria over the threat to our liberties posed by President Obama's appointment of someone to coordinate interdiction efforts on the Mexican border as somewhat, shall we say, tactical. As for "Right Guy", our discussion has indeed come to an end. 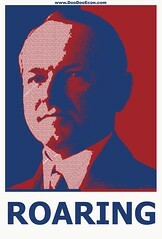 He forthrightly believes that the problem with Herbert Hoover is that he was too liberal. There is little I can say in response to a position like that. Hoover was from Iowa. I can tell you a conservative out here is just an old school democrat that is also a pragmatist. Classical Liberals/Libertarian Republicans are hard to find in Iowa. Hi C-Gen, it's been a while, i'm not sure if you heard or not but I've been away because I blew my left knee out and may need surgery after the 9/12 protest. With that,j injury I also recieved another mild concussion, which is why I've been away because of the those happened and I am having a very hard time writing because the results of that fall. I always enjoy a good debate when you join in as you always bring a perspective that is unique and informed. Since I have been back I have played catch up on a blog each day and yours is up on my list. I appreciate the collaborations on climate and did a small post on tropical storm Erika and its possible effectson the 9/12 protests. I'd love to hear your thoughts on what you think it may do. Your comments here were excellent as always. I hope you forgjve my absence and don't think I was just ignoring you. I was not and suffered a serious injjury and sm just starting to recover. @ nyp - "Girls can't do math" is a political correctness issue? "Cass Sunstein has questionable ideologies" is slander. Did you actually think about what you said before you wrote your reply? I see you completely missed reading my comments so I'll refresh your memory. In the last eight months, we've seen a whole host of poorly vetted Obama appointees. There are a very large number of people who were appointed by Obama with no oversight outside of the President. Some of these people may be worth keeping an eye on. Increasing the oversight over Obama's appointees is prudent given his track record of poor vetting. Your comments on George Bush are completely irrelevant to my comments. In fact, they are also completely irrelevant to Obama's appointees. It's fun to go down memory lane sometimes and I understand you'd rather spend all your time criticizing Bush, but if you haven't noticed Obama is currently President. 1. The answers to your two questions are "yes" and "yes." If you disagree, please explain why. 2. You are free to criticize the qualifications, public statements or actions of whoever you wish. But please, no more of this nonsense about the "30+ czars." 3. I share your desire to forget the fact that the previous Administration ever took place. But it is still a bit too early to flush the Bush Administration down the memory hole. Hypocrisy is and alway was a relevant subject of political discussion. Also, why flush Bush when there is plenty to blame him for that Obama won't take responsibility for. As much as I think Bush screwed up, it's Obama's presidency now. And you want me to explain my comments? Also, I see you continue to avoid addressing any of my rational arguments for oversight over Obama's political appointees. At this point is it safe to assume that you have no objections to my points and agree that oversight is needed? 1. So, help me understand here..."Yes," it's a political correctness issue because you actually believe the statement, "girls can't do math," is a true statement, but it's just impolite to say so? 2. The greater the number of czars, the more valid the argument for oversight becomes. If you disagree, please enlighten me as to the number of czars a President can have before it becomes uncrazy to suggest that there should be some oversight over the President's ability to appoint czars. As someone pointed out earlier, I use the term "czars" in the most liberal sense in that many of these appointees have been coined "czars" by the media. It's easier than listing the various positions. 3. Your right, there is all kinds of hypocrisy relating to Bush policies. You argue that Bush weilded gross executive power improperly. If he were still in office and I were arguing that we need more oversight over the executive powers, based on what you said in your last post, it sounds like you would be on board, correct? Yet, you are very defensive about curtailing any of that bloated power inherited by Obama. If you were consistent in your views from President to President, you would have agreed with me from the start. 1. Larry Summers: as I said earlier, Mr. Summers' Harvard Presidency was sacrificed, in my view, on the alter of political correctness. He attended a conference on barriers to women's advancement in engineering and science faculties. In remarks he made at the conference he expressed scepticism that the dearth of women at the highest levels of science and engineering scholarship in America was largly due to intentional discrimination. He also stated that he considered it worth pursuing preliminary research that has indicated that differences in male and female neurological development may account for different particular congnitive talents. I.e., there may be cognitive projects in which, statistically speaking, women may achieve more then men, and vice versa. A highly vulgarized and, for all essential purposes inaccurate version of this would be your characterization that "girls can't do math." These ideas are explored at length in Professor Steven Pinker's "How the Mind Works," which I recommend to anyone reading this post. As a consequence of these remarks Summers was, essentially, forced to resign from Harvard. Adding to his unpopularity with the Harvard faculty was his outspoken support for R.O.T.C. , as well as some other factors. So, yet, it was a political correctness issue. As a liberal, I was unhappy about it. 2. Oversight: I am very happy to have congressional oversight. If Congress wants to examine the performance of the President's Faith-Based initiatives, it is free to do so. If it wants to look at whether the stimulus has gone towards the creation of green jobs, it is free to do so. if it wants to hold hearings on whether the banks we bailed out last autumn are spending too many of our taxpayor dollars on executive bonuses, it is free to do so. And it should do so. But this has nothing to do with people being "czars," or with the Preisent being depicted by the proprietor of this blog as a despot. They are not czars and he is not a despot. 3. I agree with you that "there is all kinds of hypocrisy relating to Bush policies." But I cannot recall any liberal commentator arguing that the President was a despot because he appointed a Director of Faith-Based initiatives or someone to oversee counter-terrorism activities. Our concern was with the the very different and, if I may say, somewhat more consequential problem that the President had asserted the right to arrest American citizens, deprive them of habeus corpus, and hold them in prison for life without a trial. I need to balance that episode in the exerxcise of executive power against the appointment of some guy to coordinate the cleanup of toxic sludge in the Great Lakes. But I suppose we all choose our battles. PLease don't call them Czars, because the Messiah's polling data states that people don't take wall to the term czar. Advisor sounds much nicer and people friendly. Hypocrisy, platitudes, and an ample amount of circular thinking. Isn't this Republic of ours just wonderful? Where else can people of any country criticize their government so freely as in the USA? Perhaps, the day will come when we wake up and find our Freedom of Speech abridged by the current Administration. Hopefully when the dark clouds of the Obama Administration (here's the platitude) are lifted in 2012, and they will be, our beloved country will have retained some resemblance of our Republic. GWB presided over a huge expansion in the federal government, and it is almost certain (notice I said almost NYP)that BHO will more than double the expansion seen under GWB. I am fairly certain that we can all agree this is unsustainable and will, if not checked destroy the once strong infrastruction of this Nation. There is hope, but that hope is dependent on us defeating the socialist/statist policies that are in fact responsible for our current mess. Just one man's opinion, feel free (NYP) to offer yours. @ nyp - truly, you are a pleasure to debate. In your last post you injected a few more possible diverging debates and at the same time, I feel a few points are coming to an end. I'll sum up our discussion before moving on so we are not beating a dead horse. 1. Larry Summers. I am completely satisfied with this discussion. My original remarks were an obvious tease in the first place and then I merely wanted to make sure that I didn't misunderstand your position on "a women's capibility to do math." - You've pointed out in earlier comments to other commenters that appointments increased under Bush, was inherited by Obama, and Obama continues the use of this expansion of power. - You've pointed to the alleged abuses of executive power from the previous administration. I see this as support for the argument that the expansion of executive power has grown too far. - I've pointed out that the current President has a proven history of being poor at vetting his appointees. - LCR has pointed out several appointees that are not subject to any current oversight, that may be worth keeping an eye on. Are you a lawyer by chance (no insult intended here)? I just feel like I'm having a conversation with Bill Clinton on this particular point. You say you are fine with oversight if congress wants to exercise their power. This would be a sufficient argument if we were on the floor of congress. In that case, you'd be agreeing with me and your comments are make sense in the context of our discussion. I'm guessing you are not in congress or the senate and being this is a public forum the conclusion as it pertains to the arguments is not related to your comment. As LCR pointed out and I'll reafirm, it is quite clear that a democratic controled congress is not interested in providing oversight of the President. They're not even considering oversight of themselves...Rangel, Murtha, Burris, Feinstein, Dodd...ect. The debate along with the points being made suggest that the proper response be either "congress should exercise more oversight" or "congress should not exercise more oversight." I believe that you are an intelligent person and have no trouble realizing that this was the crux of the debate. Your reasons for intentionally dodging the question remains a mystery, but I'm fine with moving on. 1. "But this has nothing to do with people being "czars," or with the Preisent being depicted by the proprietor of this blog as a despot. They are not czars and he is not a despot." I've looked over LCR's post and his comments and don't see anything asserting that czars=despot. Perhaps, another commenter alluded to despotism? However, you are the only one that has injected the term despot into the debate. 2. I have no problem moving onto a discussion of whether Obama being called a despot is or is not a warranted allusion if you are. And it should do so. But this has nothing to do with people being "czars," or with the Preisent being depicted by the proprietor of this blog as a despot. They are not czars and he is not a despot. With an accusation like this, the burden of proof is on your shoulders - prove it. Point me to what I have opined on here at the Left Coast Rebel that shows Obama in a despotic light. As far as I'm concerned, merely having an opinion that counters yours would put me in the camp of those thinking the president is a despot. Did you learn tactics like this in Law School? Or have you found that circular reasoning and obfuscation are the best ways to debate without really debating? Also, your assertion that Obama and the admin are 'moderate' is ludicrous. Back it up. I want facts. How are they 'moderate'? 1. To "leftcoastrebel": You ask: "Point me to what I have opined on here at the Left Coast Rebel that shows Obama in a despotic light." I would start by pointing to the top of this blog, in which you have placed two not very cleverly Photoshopped pictures that depict President Obama as a despotic czar. a. Foreign Policy: an immoderate would order an immediate withdrawal of U.S. forces from Iraq and Afganistan. He would direct the prosecution of all Bush administration officials involved in torture or warrantless wiretapping. He would place in national security positions individuals who espoused the sorts of views commonly seen in the pages of The Nation magazine. Instead, President Obama has continued the timetables in Iraq set by his predecessor. He has significantly expanded the war in Afganistan. He has ruled out prosecuting, or even investigating what people on the left see as Bush era illegalities, with the sole exception of actions which themselves violated the extremely relaxed rules set by the Bush Administration's lawyers. He has retained as the most important member of his cabinet President Bush's Secretary of Defense. His National Security Advisor is a marine general. His counter-terrorism advisor (don't call him a "czar") is an Air Force General. This is not the foreign policy of an immoderate. b. Economic Policy: An immoderate, confronted with the near-catastrophic economic crisis bequeathed to him by his predecessor, would have advocated counter-cyclical spending programs of well over a trillion dollars, as many liberal economists, including Paul Krugman and Joseph Stiglitz, advocated. He would have allocated none of the stimulus to tax cuts, since tax cuts are relatively ineffective as a stimulative mechanism owing to their low multiplier. In response to the severe financial crisis and the need to recapitalize the banking system, he would have adopted the recommendations of many on the left and demanded equity stakes in the rescued financial institutions, thus placing them in a state of at least temporary nationalization. For advisors, he would have shunned Wall Street and would have chosen a group of strong liberal advisors such as Joseph Stiglitz and Jeffrey Sachs. Instead, President Obama significantly reduced the stimulus spendig levels in order to attract Republicans (who nevertheless refused to budge.) He allocated significant portions of the stimulus to tax cuts, even at the risk of reducing the effective multiplier. The program itself represents classic Keynsian counter-cyclical macroeconomics. Similar programs have been adopted by virtually every other capitalist government - including ultra-capitalist China, which has seen its economy swiftly turn around in response to its much more agressive stimulus program. He resisted the demand that he get skin in the game as the price for rescuing the financial sector. For advisors, he has gone to Wall Street and to the economic mainstream, relying on people like Summers, Volker, Orzag, Rhomer, Geithener. For heaven's sake, his Treasury Secretary was the President of the New York Fed! This is the economic policy of a moderate. c) Health Care: faced with a situation in which millions of American families lacked adequate health insurance coverage while overall health costs threatened to bankrupt the country, an immoderate President would have taken one of two steps. He could have proposed that Medicare, which is both more popular and more cost-effective than private systems, be extended to all Americans. In so doing, he would extend to the rest of us the same sucessful Canadian-style single payer medial system that our seniors enjoy. Alternatvely, an "immoderate" President could have proposed extending the remarkably successful Vetrans Health system to the rest of the population. In so doing, he would extend to the rest of us the same sucessful British government-owned & operated medical system that our vets deserve and enjoy. Instead, President Obama has proposed health insurance reforms that stay as close as possible to the current system. Medical insurance companies stay in place. Employer-based insurance stays in place. People who like what they have keep what they have. Regulations protect people with pre-existing conditions and other problems that have caused so much heartbreak in the private market. Health insurance exchanges steer the uninsured, with subsidies, into a variety of low cost plans so that every family has insurance and no one has to worry about facing financial ruin in the face of a major illness. This is the health insurance policy of a moderate. Those are the facts I point to to document my "ludicrous" assertion that the President is a moderate. And, by the way, I did not learn these "tactics" in Law School. I learned them on my high school debate team. By the way, LCP, I'm sure you appreciate the fact that I have to work during the day an cannot respond to all of your comments immediately. Chirp yourself. "You know, I didn't troll over here to get into general bull session discusisons about "statism," comparative growth rates of Western economiies in the 1930s, Larry Summers' views about womeen, etc. I trolled here because I saw an outrageously out of line meme developing all over the blogosophere and decided to engage in some spirited if civil pushback. So forgive me for not responding to every one of the points recently raised by some of the posters above." You aren't going to respond to my last comment? I thought we were having a calm, rational discussion. How come you get to come to LCR's Blog for some push back, but I can't? Honestly, I don't know why you came here to get on LCR's case for calling the President's advisors "czars?" As I pointed out, that's how the media coins them. Here's the AP announcing another one two hours ago http://www.google.com/hostednews/ap/article/ALeqM5hbFu_USPHXmnxTOR0tOnrbYrckcwD9AG4IJO1. Logically, if you wanted to do something about people saying Obama has Czars, you should be trolling over at the AP, the actual source of the Czar talk. You could have fooled me on the bull sessions. You certainly didn't need to stick around for 90 posts. Conservative generation: you are certainly the only person alive who thinks I have not written enough on this blog. So I will try to respond, albeit briefly, to your points above. 1. You talk about a mild, essentially academic disagreement cocerning the expansion of executive power in the Bush and Obama administration and the potential lack of congressional oversight. But the proprietor of this blog - and of the scores of other sites that have screeched in recent weeks about the "czars" - does not share your estimable seminar room sensibility. He calls the president's advisors ", the unelected, extraconstitutional, shadow-government folks." He writes of "[d]ozens of Stalinist Czars in control of key sectors without oversight. A suicide march." He portrays President Obama as an actual unelected monarch. And that is mild stuff compared to the rampant hysteria elsewhere in the blogosphere. Google "czar" if you do not agree. If all I had to deal with were your law review style sensibilities I would not feel the obsessive need to keep responding and responding and responding. 2. You seem to think that the constitutionality of the President's power to appoint a science advisor, a middle east envoy, a drug policy coordinator is a "toss up" because neither I nor my interlocutors can produce supporting caselaw. It don't work that way. Anyone charging that an accepted practice that goes back generations is actually unconstitutional has a heavy, heavy burden of proof. In this instance, you guys have nothing to offer. 4. I do not care to "debate" whether the President of the Unites States is a "despot." That is lunitic stuff. @ nyp - I'm glad you are enjoying our little academic debate! "He portrays President Obama as an actual unelected monarch." 1. Should I refer to him as an elected monarch, jk? We'll come back to 1. 2. Really? You are going to harp on me for saying the discussion was a toss up? We aren't in the halls of the Supreme Court and I most certainly am not a Supreme Court judge. I gave you my opinion on a debate between you and others who have commented. Last time I checked this discussion was in a debate forum, meaning that the burden of proof is one's ability to provide a more convincing argument. I apologize if I incorrectly rated your well quipped "cite your case" argument in response to others calling "you cite your case." Seriously, I haven't made any comments on the constitutionality of Obama's appointments so this whole point is absolutely moot, but it was fun to talk about again. 3. Hold your horses, I don't think you're ready to take this one on. When I was studying philosophy, I was taught to establish the premise of the argument before a conclusion. My previous arguments were regarding the need for oversight. I've never stated the form that oversight would take. I haven't had a chance, nor would it make sense given the fact that you still won't say up or down whether you agree there should be oversight. Your argument is putting the cart before the horse. 4. This is the best part since it relates to 1. If we aren't going to have an academic discussion about what despotism is, we can't really determine what is and is not lunatic about despotism. "Conservative Generation: Sorry -we have really reached the end of useful discussion here. If in the future I see something on this blog that merits response I will chime in. But for the most part this blog seems pretty much like an amplifier of what has previoiusly started to move around the conservative echo chamber. Which predecessor do you mean when you talk about Obama the Democratic Congress that was in control since 2006? After all it is Congress that "holds the pursestrings to the country." Bush did everything while he was in office with a between a +2 majority and -2 opposition Senate so you can't go blaming everything on Bush since Dems had the power to stop him at any time. Your hero Barney Frank has done more to destroy our housing market than Bush and Clinton combined. He is under multiple investigations (especially for the "friends of Angelo" deals he got for real estate. Then again the brothels he ran out of those projects he owned were party central. Every Czar that I have hears anything about is a stalinist or close to it. Name one center right pick Obama has made on any issue that matters. You know, Anderw, I pledged not to respond to you because you have persisted in the disgusting and linguistically demeaning practice of comparing the President of the United States to Adolf Hitler. But this one time, and no more I will answer you by responding to your challenge that I name "Name one center right pick Obama has made on any issue that matters": Here is your answer: Robert Gates as Secretary of Defense, the most important position in the cabinet. Here is another: Tim Geithner, former Chairman of the New York Fed, as Secretary of the Treasury, the second most important position. Here is a third: General James Jones as National Security Advisor. Here is a fourth: Larry Summers and White House Economic Advisor. Here is a fifth: Paul Volker, Fed Chair under Ronald Reeagan, as Chair of the council of outside economic advisors. Now, sticking with these key substantive advisors, tell us why you think they are dangerous leftist radicals. Aaach! I've been baited into dealing with you!! PS: one more thing: please identify, with specificity and documetation, which "friends of Angelo" deals Congressman Frank received.